In a complex and diverse world of property business Y's Homes can provide you with high quality services, designed to be flexible to your needs. Whether you simply need help to find the right property or whether you need to totally outsource the administration and management of your international assignees・relocation ・our services can be tailored to your exact requirements. Finding just the right home is a stressful and time consuming process, especially when you are not familiar with the new area. You might have limited time for viewings, every hour you spend visiting the estate agents comes at a premium. 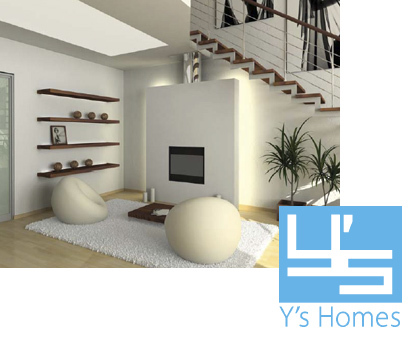 At Y's Homes we take time to listen to you, establishing your requirements, hopes and desires, making sure we are able to match your needs as close as possible. Our experienced staff will guide you all the way through; accompanying you for viewings and negotiating the best price and terms of the tenancy on your behalf. The sooner you familiarise yourself with your new area, the sooner you will start enjoying your new life. To help you with area orientation we can arrange an area tour, whilst providing you with useful information such as schools, transport links, hospitals, nurseries, sports clubs, libraries and leisure facilities. We can also provide information in relation to service providers, such as broadband, satellite TV, newspapers, etc. If you are on a short term assignment we can search for a temporary accommodation for you, negotiate the terms of the lease on your behalf and generally make sure help is always at hand when you need it. We will handle tenancy negotiations on your behalf, making sure your interests are protected. We will explain the contents of legal documents and advise you of potential pitfalls. We will deal with complex administration work. We will attend your inventory check, making sure all important findings are properly recorded. During the first few weeks, new tenants typically require some assistance or explanations about their new home in general. We will answer your queries and assist you by speaking to the landlords, agents or other relevant people on your behalf. Comfortable living is not guaranteed by just finding a good property. You would still have to deal with maintenance issues and interact with landlords, agents or contractors. We will become your single point of contact so that you don't have to speak to many individuals separately. We will keep an eye on your renewal deadlines, contacting you and the landlords to start renewal negotiations in good time and will arrange for necessary renewal administration. When the tenancy is coming to an end we will serve/receive appropriate termination notices on your behalf. We can help with organising cleaning and removal companies and attend your check out to advise you on any issues which might potentially give rise to any claims for damages, deductible from your deposit. We will also help you to organise closure of your utility accounts. Last, but not least, using our expertise and legal knowledge, we will negotiate with the landlords to keep the amount of deductions from your deposit to a minimum.